My Friend Sally is an home styling business owned and managed by Sally Spilsbury, a friendly, down-to-earth designer with a passion for making a house a home. From full project management to a quick update on your home, Sally will advise you to ensure you get maximum results whatever your budget and avoid making expensive mistakes. Not sure where to start? Sally would be happy to meet you for a free, no obligation consultation and would then provide a quote (minimum £120). This is fully refundable against future purchases. Sally works with a wide variety of suppliers of fabric, paint, wall coverings, furniture, lighting, flooring and home accessories as well as talented sewers and upholsterers. Need help with styling your home before selling/renting or just fresh ideas how to display your home accessories? With over 20 years of experience in commercial and residential styling, we will work with you to display your much-loved possessions. We also offer styling for small shops and retailers helping you make the best of your space and attract customers. 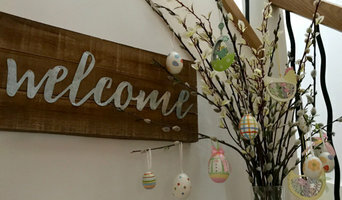 You love the idea of updating your home decor accents and accessories but feel overwhelmed by the thought of trying to pull everything together. You’re just not really sure what works with what. You’re busy! You love your home but just don’t have the time to research and shop for it all. What if it doesn’t look right? More time needed to take it all back! I help clients refresh their decor, breathing life back into their space and creating a sanctuary they'll love coming home to. In addition to a home styling service and online accessories store, I also run a variety of pop-up shops. 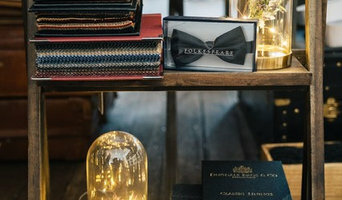 These include the opportunity for clients to host their own pop-up event - whether at home or at a suitable venue it's always a great excuse to gather friends together, catch up over a drink or two and indulge in some fabulous retail therapy! Our aim at Stellar PA is to make your life easier. We step in when necessary to redress the balance and relieve the pressure in your life. Let us help you create a home that you love; we do the legwork and present you with some beautiful options all within your specified budget. We can do as much or as little as you require, from sourcing key items and assisting with colour schemes, to complete room design- just choose the design package that is right for you. Our services also include home organisation and storage advice. An online lifestyle store with a bespoke range of design-led homewares, apparel and cosmetics. A small yet perfectly formed creative team based in Douglas, Lanarkshire offering interior design, floristry and window dressing services. Casa Interior Styling is all about you. Your space should be your sanctuary. Somewhere that reflects your style, your personality and how you live your life. I’m dedicated to creating beautiful yet versatile spaces. Ones that not only meet your needs but make you feel truly at home. Interior stylists or interior decorators in Edinburgh, City of Edinburgh will be able to help you position furniture, choose colour schemes and select accessories so that your rooms and home decoration will be picture perfect and guest-ready. 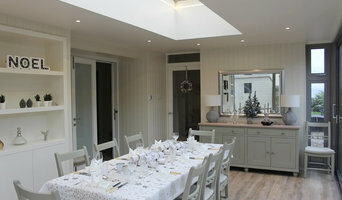 What types of project should I hire Edinburgh, City of Edinburgh interior stylists for? What should I ask prospective Edinburgh, City of Edinburgh interior stylists? Find interior stylists on Houzz. Narrow your search in the Professionals section of the website to Edinburgh, City of Edinburgh interior stylists. 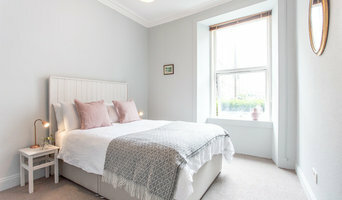 You can also look through Edinburgh, City of Edinburgh photos by style to find rooms and home decoration you like, then contact the interior decorators or stylists who styled them.